Classic Legends continue to extend its dealership network as the company says Aadab to the City of Nawabs. Classic Legends inaugurated its new Jawa dealership in Lucknow on February 4, 2019. The Jawa dealership in the city, Envision Motors, is located at Plot No – 178, Adil Nagar, Ring Road, Near Tehripulia. The dealership was inaugurated by Anupam Thareja, Co-Founder, Classic Legends. 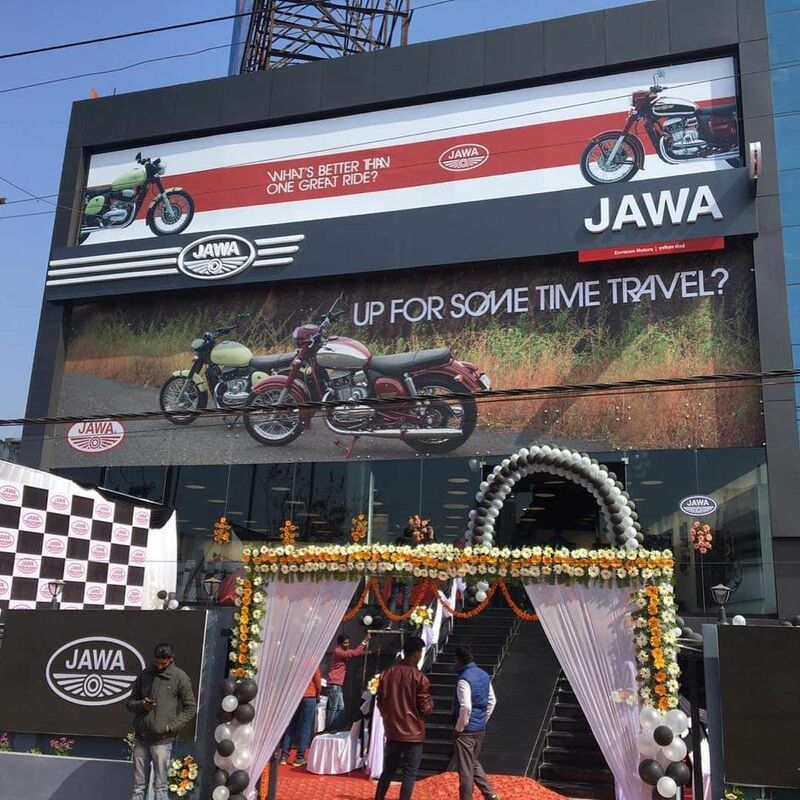 The Jawa dealership in Lucknow was inaugurated on February 4. The outlet, similar to other cities, would accept bookings for deliveries post-September 2019. The company had previously confirmed that deliveries of the motorcycles would commence from March. However, the deliveries that would begin next month would cater to the online bookings that were made before December 25 last year. The company received an overwhelming response for the two Jawa Motorcycles – Jawa Classic and Jawa Forty-Two – and the bikes are sold out until September 2019. Thus, Classic Legends closed the online bookings from midnight, December 25. The new dealerships would take reservations for deliveries beyond September. The new dealership in Lucknow is part of the company’s ‘Phase 1’ project that will witness the launch of 105 Jawa showrooms across India. Apart from Lucknow, other cities to have received Jawa dealerships under Phase 1 include Pune, Mumbai, Bangalore, Chennai, Nashik, Dehradun, Hyderabad and Delhi-NCR. The theme for the dealership in Lucknow remains identical to the rest of the outlets in the country. The new outlet has a biker café ambience that features dark polished wood fixtures, subtle inlays, raw textures and vintage oxblood upholsteries. The design is aimed to capture the nostalgia of a golden era. Classic Legends currently offers two variants (each) of the Jawa Classic and the Jawa Forty-Two. The base variants come with single-channel and a drum brake at the rear and are priced at INR 1,64,000 (Jawa Classic) and INR 1,55,000 (Jawa Forty-Two). The company recently announced the availability of rear-disc / dual-channel ABS variants of the Jawa Classic and Jawa Forty-Two, priced at INR 1,72,942 and INR 1,63,942 respectively. Apart from the Jawa Classic and Jawa Forty-Two, Classic Legends would also sell the Jawa Perak (Bobber) in India. The price for the bobber was announced alongside the Classic and the Forty-Two although the bookings and deliveries of the Perak will commence post-September 2019. The Perak will be available at INR 1.89 lakh.